A Southend woman blossomed in every class at the village SWI’s annual bulb show. Jen Ronald picked up special prizes for bulbs, baking and handicrafts at the competition on March 11, winning the trophy for most points in show. Competition was strong with a great range of entries from the members across the classes. Afterwards, members were fascinated by a talk from fellow Southender Jaqui Willis, about her travels to Japan from Antigua by yacht several years ago. Jaqui was a chef onboard the vessel and cooked for the crew during the long voyage. Some memorable stops were made along the way, to restock provisions and refuel, and Jaqui shared some photographs she took along the way as well as memories of the trip. An SWI spokesperson said: ‘From the Galapagos Islands to small Pacific islands, it looked idyllic. 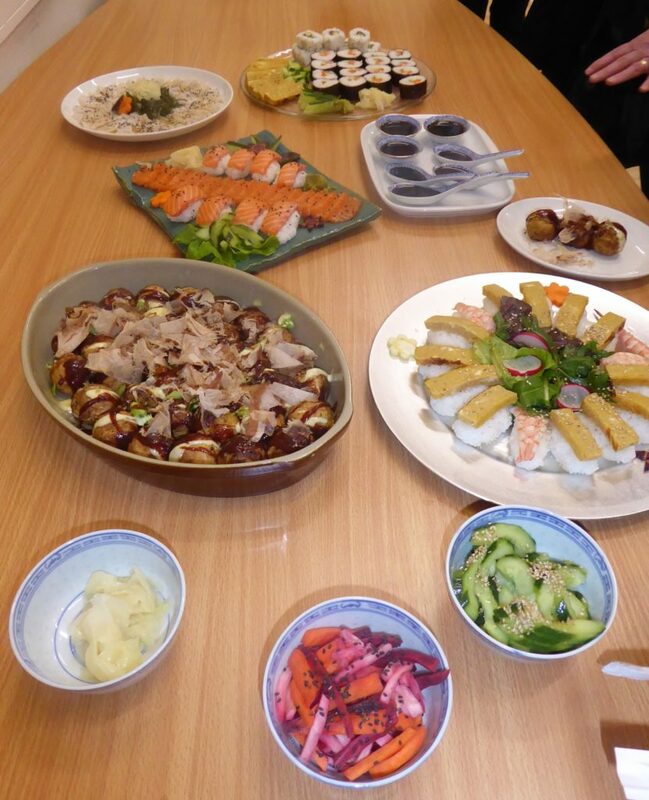 ‘Jaqui spoke about her training in the art of sushi making while in Japan, where she shadowed a master chef for some of her six-month stay. 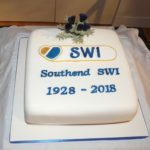 The SWI’s next meeting is on April 1 in Dunaverty Hall. It will be a members’ night with demonstrations on making pancakes, paper decorations and marzipan fruits. The competition with be three pancakes and a favourite vase. Bulb show results: Bulbs: Bowl of hyacinths, three of any colour: Jen Ronald – Gold; Mary Cameron – Silver; Fiona Rowland – Red. Bowl of hyacinths, five of any colour: Jen Ronald – Gold; Mary Cameron – Silver; Marion Warnock – Silver; Fiona Rowland – Red. Bowl of daffodils any variety: Fiona Rowland – Gold; Jen Ronald – Silver; Marion Warnock – Silver. Bowl of trumpet daffodils, five bulbs: Fiona Rowland – Silver. Bowl of polyanthus narcissus, five bulbs: Jen Ronald – Gold; Fiona Rowland – Silver. Bowl of tulips: Gold – Jen Ronald (also special prize for best bulbs). Bowl of small spring bulbs: Marion Warnock – Gold; Margaret Bakes – Gold; Jen Ronald – Silver; Fiona Rowland – Silver. Foliage plant: Fiona Rowland – Gold; Inez Ronald – Silver; Jen Ronald – Red; Margaret McLean – Blue. Flowering plant: Margaret Bakes– Gold; Jen Ronald – Gold; Alison Eynon – Silver; Fiona Rowland – Silver; Margaret McDowall – Silver. Large flowers, arrangement in an old boot/shoe: Inez Ronald – Gold. Small flowers in a sugar bowl: Margaret McLean – gold; Inez Ronald – Silver; Jen Ronald – Silver; Margaret McDowall – Red; Fiona Rowland – Green. Baking: Three savoury muffins (gluten free): Moyra Jane Paterson – Gold; Inez Ronald – Silver; Fiona Rowland – Red; Alison Eynon – Blue; Jen Ronald – Blue. Battenberg cake: Jen Ronald – Gold; Fiona Rowland – Gold; Margaret McDowall – Silver. 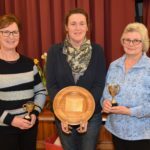 Fresh fruit flan: Jen Ronald – Gold (and special prize); Inez Ronald – Silver; Fiona Rowland – Red. 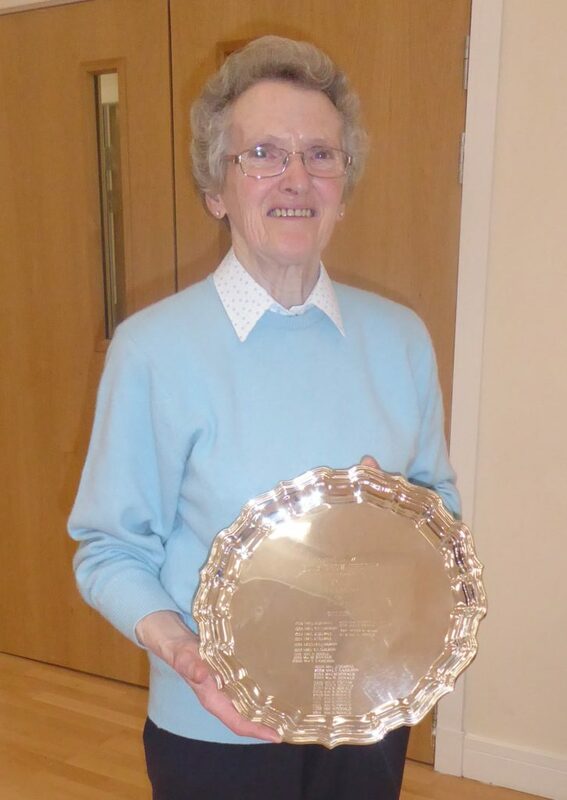 Lemon drizzle cake: Moyra Jane Paterson – Gold; Alison Eynon – Silver; Fiona Rowland – Silver; Marion Warnock – Silver; Margaret McLean – Silver; Inez Ronald – Red; Jen Ronald – Red; Margaret McDowall – Blue. Three pieces of rum and raisin fudge: Jen Ronald – Gold; Fiona Rowland – Silver; Inez Ronald – Red; Moyra Jane Paterson – Red. Three jelly sweets: Fiona Rowland – Gold; Alison Eynon – Silver; Jen Ronald – Red. 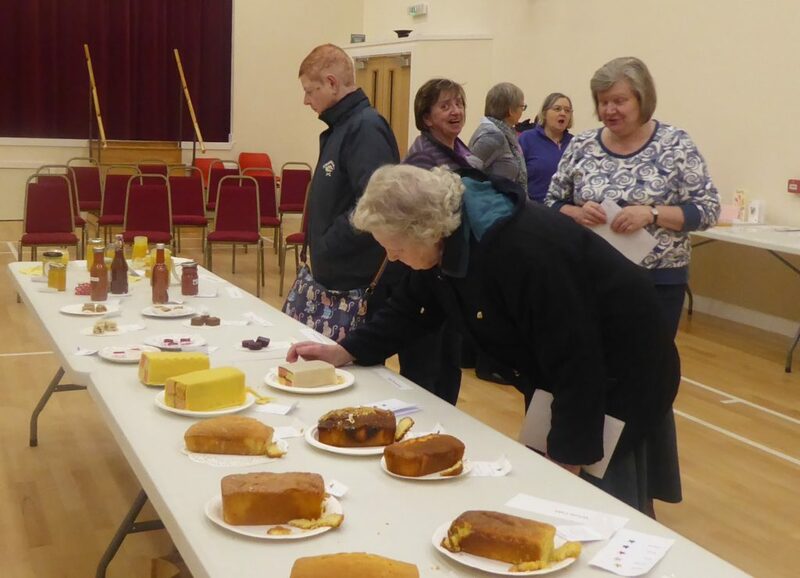 Lemon curd: Jen Ronald – Gold; Marion Warnock – Gold; Margaret Bakes – Gold; Alison Eynon – Silver; Fiona Rowland – Silver; Inez Ronald – Red; Margaret McDowall – Red; Margaret McLean – Blue; Moyra Jane Paterson – Blue. Tomato ketchup: Alison Eynon – Gold; Moyra Jane Paterson – Silver; Inez Ronald – Red; Jen Ronald – Green. Handicrafts: Literature, growing old gracefully: Margaret McDowall – Gold; Christine Jardine – Silver. 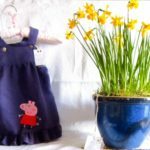 Knitting, child’s jumper/cardigan (two or more colours): Moyra Jane Paterson – Gold; Jen Ronald – Gold; Margaret McDowall – Silver. Crochet, beaded jug cover: Christine Jardine – Gold. Crochet (heavy), item in Tunisian crochet: Christine Jardine – Gold; Embroidery, picture of a nature scene: Alison Eynon – Gold; Jen Ronald – Silver. Six Dorset buttons: Alison Eynon – Gold; Jen Ronald – Silver; Moyra Jane Paterson – Red. Sewing, cushion pad: Jen Ronald – Gold. Sewing, apron: Alison Eynon – Gold; Jen Ronald – Gold; Moyra Jane Paterson – Silver. Photography, design in nature: Christine Jardine – Gold; Fiona Rowland – Gold; Alison Eynon – Silver; Margaret Bakes – Red; Inez Ronald – Blue; Jan Ronald – Green. Photography, tall building: Margaret McDowall – Gold; Fiona Rowland – Silver; Margaret Bakes – Red; Inez Ronald – Red; Jen Ronald – Blue; Christine Jardine – Green. Art, still life with shells: Alison Eynon – Silver; Christine Jardine – Silver. Design, RAF poster: Christine Jardine – Gold; Fiona Rowland – Silver. Design, square scarf (by hand): Alison Eynon – Gold. Special competition, three greeting cards (different crafts): Jen Ronald – Gold; Alison Eynon – Silver; Christine Jardine – Silver; Fiona Rowland – Red. Winners: Bulbs: 1 Jen Ronald, 2 Fiona Rowland, 3 Marion Warnock. Baking: 1 Jen Ronald, 2 Fiona Rowland, 3 Inez Ronald. Handicrafts: 1 Christine Jardine, 2 Jen Ronald, 3 Alison Eynon. Special prize for bulbs: Jen Ronald. Special prize for baking: Jen Ronald. Special prize for handicrafts: Jen Ronald. Most points in show: Jen Ronald.